In the Columbia area there are many exciting events to attend such as the Museum Road Show: Winter Edition, The Great Amazing Race 1.5 mile fun run/walk, and the Monster Jam. There are also events that occur each week every month such as Kids Cook and the City Roots Farmers Market. Sundays – Sensory Sunday at the EdVenture Children’s Museum. On Sundays one hour before opening, the museum will be open for children with Autism Spectrum Disorders and sensory processing difference’s to tour the museum and enjoy interactive, hands on activities. For more information call (803) 400-1156 or visit http://www.edventure.org/events/sensory-sunday/?for=04-17-2016. Second Sundays – Stroll on Arsenal Hill at the Arsenal Hill Park Center on Lincoln Street with the tour beginning at St. Timothy’s Episcopal Church on Calhoun Street. Learn the significance of this neighborhood with its eclectic mix of architecture where the elites use to live during the war and African Americans lived through the 19th and 20th Centuries. For more information call (803) 252-1770 or visit http://www.historiccolumbia.org/events/second-sunday-stroll-arsenal-hill. Tuesdays – Toddler Tuesdays at the EdVenture Children’s Museum. Bring your toddler for seasonal art activities, music, and our sand tray exploration in the Early Learning Classroom. For more information call (803) 779-3100 or visit http://www.edventure.org/calendar/calendar.aspx. Tuesdays – Second Shift Twosdays at the South Carolina State Museum. The museum has extended hours with special after hours pricing. For more information call (803) 898-4921 or visit http://scmuseum.org/events/second-shift-twosdays/. First & Third Wednesdays – Kids Cook at the EdVenture Children’s Museum. Children 6 – 10 years old will have a unique experience taking participants on an exciting journey of culinary arts partaking in food preparation and meal creation, while learning about nutrition. For more information call (803) 400-1156 or visit http://www.edventure.org/events/kids-cook-first-third-wednesdays/?for=04-20-2016. Thursdays – City Roots Farmers Market at the City Roots Farm. Here’s your chance to search for fresh local produce, fresh eggs, meats, cheese, and more, plus local music and food truck vendors! For more information call (803) 254-2302 or visit http://www.cityroots.org/. First Thursdays – First Thursdays on Main Street at the 1200-1700 block of Main Street in downtown Columbia. The event lasts from 6 pm to 10 pm and is a collaboration of a number of vendors in the area. For more information call (803) 988-1065 or visit http://firstthursdaysonmain.com/. Third Thursdays – Vista Nights offered by the Congaree Visit Guild in the Vista area of downtown Columbia. This event is a collaboration of vendors offering extended hours and events such as wine and beer tastings, art classes, and more. For more information call (803) 269-5946 or visit http://www.vistacolumbia.com/vistanights.aspx. Thursday Nights – Young Adult Shag Dance at Bill’s Music Stop on Meeting Street. Come early and learn how to shag and then dance the night away. For more information call (803) 796-6477 or visit http://www.billsmusicshop.com/calendar.html#. Fridays – Bluegrass and Acoustic Open Stage and Jam at Bill’s Music Shop and Pickin’ Parlor on Meeting Street. Come out and participate or sit back and enjoy the music. For more information call (803) 796-6477 or visit http://www.billsmusicshop.com/. Fourth Fridays – Friday Night Laser Lights at the South Carolina State Museum. Through the months of June, July, and August, the Museum will present a laser light show in the Planetarium with each show providing a variety of music. For more information call (803) 898-4921 or visit http://scmuseum.org/events/upcoming-events/. Saturdays – State House Tours. Come tour the most beautiful historic building in the area. For more information call (803) 734-2430 or visit http://www.scstatehouse.gov/visit.php. Saturdays – Classic Country Music Jamboree and Dancing at Bills Music Shop and Pickin’ Parlor on Meeting Street. Come early and learn two step, country dancing, or couples dancing (no partner required) followed by live entertainment. For more information call (803) 796-6477 or visit http://www.billsmusicshop.com/. Saturdays – Soda City Market on Main Street in downtown Columbia. Shop for local and regional foods, crafts, hot coffee, cold fresh lemonade, and even cooked food. For more information visit http://sodacitysc.com/. Through February 4 – “Fame and Fashion: The Photography of John Engstead” at the Columbia Museum of Art. This artist began his career in 1926 when he began his working for Paramount Studios and you will see the many photos he took of famous actors such as Carey Grant and such shows as Bewitched and Bonanza. For more information call (803) 799-2810 or visit https://www.columbiamuseum.org/exhibitions/fame-and-fashion. Through February 5 – “You Can’t Take It With You” at the Town Theater. Meet a batty New York City family whose daughter is engaged to the son of the boss of a Wall Street firm who brings his parents over to meet his fiancé’s but shows up a day early. For more information call (803) 799-2510 or visit http://towntheatre.com/you-cant-take-it-with-you/. Through February 11 – “The Wonderful Wizard of Oz” at the Columbia Marionette Theater. Children and their adults alike will enjoy this wonderful tale! For more information call (803) 252-7366 or visit http://cmtpuppet.org/shows/the-wonderful-wizard-of-oz/. Through February 19 – “From Page to Person: An Exploration of the Character” at the Columbia Museum of Art. See the created sketches and designs of local middle and high school students and take the opportunity to try on one of their period-inspired costumes. For more information call (803) 799-2810 or visit https://www.columbiamuseum.org/exhibitions/page-person. Through February 19 – “Cut! Costume and the Cinema” at the Columbia Museum of Art. You’ll have the chance to see 43 period costumes from 26 different films that cover five centuries. For more information call (803) 799-2810 or visit https://www.columbiamuseum.org/exhibitions/cut. Through February 28 – “South Carolina and the Great War” at the South Carolina State Museum. Learn how World War I impacted South Carolina. For more information call (803) 898-4921 or visit http://scmuseum.org/explore/exhibits/changing-exhibits/south-carolina-great-war/. Through March 4, 2017 – Sensory Sunday at the EdVenture Children’s Museum. One the first Sunday of each month, children with Autism Spectrum Disorders and sensory processing differences will have the opportunity to enjoy the museum in a safe and accepting environment and enjoy interactive, hands on activities. For more information call (803) 400-1156 or visit http://www.edventure.org/events/sensory-sunday/?for=07-03-2016. Through March 12 – “Psychedelic Design: Rock Posters from the Mel Byers Collection (1966-1971) at the Columbia Museum of Art. See the works of this Columbia native that is vastly different from other rock poster artists of the late 1960’s. For more information call (803) 799-2810 or visit https://www.columbiamuseum.org/exhibitions/psychedelic-design. January 26 – 29 – “Ringling Bros. and Barnum & Bailey Presents Out of this World” at the Colonial Life Arena. This is your last chance ever to see the circus in town, with a storyline will intrigue the entire family with space age fun and technology in an amazing new show you won’t want to miss! For more information call (803) 579-9200 or visit https://www.coloniallifearena.com/ringling-bros-and-barnum-bailey-presents-out-of-this-world.php?eventid=105. January 27 – “An Evening with James Williams” at the Columbia Museum of Art. You’ll enjoy an evening of lecture and discussion from this amazing North Carolina multi-media artist. For more information call (803) 799-2810 or visit https://www.columbiamuseum.org/happenings/faaac-present-evening-james-williams. January 27 – Columbia Baroque Concert: “The Palace of Versailles” at the University of South Carolina School of Music Recital Hall on Assembly Street. Fill your evening with music by this amazing group of musicians! For more information call (803) 422-4921 or visit http://www.columbiabaroque.com/all-concerts.htm. January 27 – 28 – “Swan Lake” at the Koger Center for the Arts. Enjoy a night filled with enchantment and fantasy with this all-time favorite beautiful ballet. For more information call (803) 777-7500 or visit http://www.kogercenterforthearts.com/event.php?id=374. January 27 – 29 – “DeRAY Davis” at the Comedy House. For more information call (803) 798-9898 or visit http://comedyhouse.us/deray-davis/. January 27 – 29 & February 2 – 5 – “Messiah on the Frigidaire” at the Firehouse Theatre in Chapin. A small town in South Carolina is thrust into the spotlight when the image of Jesus is spotted on a refrigerator in a trailer park, making headlines in the National Investigator which sends thralls of people to the trailer park to witness the apparition and “receive messages” from the trailers owner. For more information call (803) 240-8544 or visit http://chapintheatre.org/2017/tickets.html. January 27 – February 12 – “Seussical the Musical, Jr.” at the Village Square Theatre. Come see all of your Seuss characters come to life with the storyline narrated by the Cat in the Hat. For more information call (803) 359-1436 or visit http://www.villagesquaretheatre.com/season.html. January 28 – Museum Road Show: Winter Edition at the South Carolina State Museum. Here is your chance to get local experts to give you a value on that family heirloom you inherited. For more information call (803) 898-4999 or visit http://scmuseum.org/events/museum-road-show/. January 28 – Annual Oyster and Pig Throwdown at City Roots Farm. Enjoy a day with local chefs, city roots workers, and LowCo BBQ and catering for a day filled with oysters to shuck, BBQ to eat, live music to entertain you, a cash bar, warming barrels to keep you toasty and lots of great fun! For more information call (803) 254-2302 or visit http://www.cityroots.org/events-calendar/2017/1/28/4th-annual-oyster-and-pig-throw-down-come-roast-with-us. January 28 – One Columbia, Two Canals, Three Rivers meeting at the Red Schoolhouse at the Riverfront Park South parking lot on Laurel Street. Learn about Columbia’s development on the Fall Line, and how the waterways were used in the past, the current evaluation underway of the Columbia Canal as a result of the 2015 flood, and the learn of the pending additions planned for the Three Rivers Greenway along the Lower Saluda River. For more information call (803) 545-3100 or visit https://www.columbiasc.gov/calendar/2285. January 28 – The Great Amazing Race at Sesquicentennial Park. This is a 1.5 mile adventure run/walk for adults and kids to support the Carolina Elite Fastpitch Softball 12u. For more information visit https://www.greatamazingrace.com/columbia.html. January 28 – Altered Book Workshop at the Edisto Discovery Park on Wiley Street. You’ll learn the art of using old books to create works of art. For more information call (803) 545-3093 or visit https://www.columbiasc.gov/depts/parks-recreation/january_2017_workshops.pdf. January 28 – “Yonder Mountain String Band” and “The Rail Splitters” at the Music Farm. If you like a blend of bluegrass and rock and roll, you’ll be in for a treat with this band! For more information visit http://www.musicfarm.com/event/1368537-yonder-mountain-string-band-columbia/. January 28 – “Gimme Shelter” at the Nickelodeon Theater. This is a harrowing documentary of the Stone’s 1969 tour. For more information call (803) 254-8234 or visit http://nickelodeon.org/films/gimme-shelter/. January 28 – March 5 – Sound and Vision at the Nickelodeon Theater. This new music documentary, in partnership with DRIP records, you’ll experience screening of both repertory and contemporary music docs, with local bands performing life before each film. For more information call (803) 254-8234 or visit http://nickelodeon.org/series/sound-vision/. January 29 – Valentine’s Vendor Fair at the VFW Auxiliary Post 8738 on Cedarcrest Drive in Lexington. You’ll be able to shop with over 25 vendors providing you with an opportunity to find that special gift for your special valentine. For more information call (803) 359-8738 or visit https://www.facebook.com/events/231824273919849/permalink/232118047223805/. January 29 – “The Beach Boys: 50 Years of Good Vibration” at the Koger Center for the Arts. Here is your chance to see these amazing musicians live right here in Columbia! For more information call (803) 777-7500 or visit http://www.kogercenterforthearts.com/event.php?id=363. January 31 – Behind the Scenes Tour: Estate Sales and Auctions at 1929 Hampton Street. 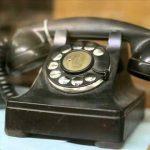 You will learn about the history of and tour The Red Lion Antique Mall and gain insight into assessing the value of items and the bidding process. For more information call (803) 252-1770 ext. 15 or visit http://www.historiccolumbia.org/events/behind-the-scenes-tour-estate-sales-auctions. January 31 – CMA Chamber Music on Main at the Columbia Museum of Art. Start the evening with happy hour and a tour of the galleries and then settle down for an evening for a wonderful chamber concert. For more information call (803) 799-2810 or visit https://www.columbiamuseum.org/happenings/cma-chamber-music-main-1. February 2 – “Corey Smith” at the Music Farm. One of Columbia’s favorite visiting country artists is back again for your enjoyment! For more information visit http://www.musicfarm.com/event/1385877-corey-smith-columbia/. February 2 – Double Feature: “Groundhog Day” and “Groundhog Day 2” at the Nickelodeon Theater. Celebrate Groundhogs Day with these two hilarious movies! For more information call (803) 254-8234 or visit http://nickelodeon.org/films/groundhog-day-groundhog-day-double-feature/. February 3 – The Secret Keeper Girl Tour: The Purple Party at Saxe Gotha Presbyterian Church in Lexington. Girls ages 7 to 12 and their mothers will learn to think differently as mothers today didn’t face the same things their little girls did at the same age. For more information 359-7770 or visit https://www.facebook.com/events/1796010170613582/. February 3 – “Ebola Syndrome” at the Nickelodeon Theater. A restaurant employee who is wanted for murder contracts Ebola when he rapes a woman from South Africa and starts an outbreak there and then carries it to Hong Kong. For more information call (803) 254-8234 or visit http://nickelodeon.org/films/ebola-syndrome/. February 3 – “Dave Chappell” at the Township Auditorium. This terrific comedian is guaranteed to fill your evening with lots of laughter! For more information call (803) 576-2350 or visit http://www.thetownship.org/events/. February 3 – “The Blue Dogs” at the Music Farm. This favorite South Carolina band just celebrated their 28th year and are back again for another great show in Columbia. For more information visit http://www.musicfarm.com/event/1412061-blue-dogs-columbia/. February 3 – 18 – “Marcus, or the Secret of Sweet” at the Trustus Theatre. This coming of age story about a 16 year old gay male just days before Hurricane Katrina hits will put you on an emotional roller coaster. For more information call (803) 254-9732 ext. 1 or visit https://trustus.org/event/marcus-or-the-secret-of-sweet/. February 4 – The Famously Hot Havana Nights Ball by the Contemporaries at the Columbia Museum of Art. This fun event will include a silent auction showcasing works from some of the most amazing artists from South Carolina with live music by Fantasy, and authentic Cuban inspired menu. For more information call (803) 799-2810 or visit https://www.columbiamuseum.org/happenings/contemporaries-present-famously-hot-havana-nights-ball. February 4 – “Judy Carmichael” at the Harbison Theatre. This Grammy nominated pianist and vocalist will bring a massive catalogue of her originals to entertain you, while warming you with her engaging style. For more information call (803) 407-5011 or visit http://www.harbisontheatre.org/tickets-productions/judy-carmichael. February 4 – Clean Sweep by the Junior League of Columbia at the Cantey Building of the South Carolina State Fairgrounds. Come out for the area’s largest one day rummage sale and find new and used items such as jewelry, books, maternity clothes, games, toys, and much, much more! For more information visit https://www.jlcolumbia.org/?nd=clean_sweep. February 4 – MGC Long Run 15 K and 5K starting on Lady Street. This event will include a 15K, a 15K relay, a 5K, and a kids fun run, all through some of the most beautiful areas of downtown Columbia all to benefit the USO of South Carolina. For more information visit http://www.mgclongrun.com/. February 4 – Essential Oils and Perfume Adult Garden Workshop at the Riverbanks Zoo and Botanical Gardens. Learn how to make essential oils from herbs in your garden that can be used for a variety of things, to include perfume! For more information call (803) 779-8717 or visit http://www.riverbanks.org/education/garden-programs.shtml. February 4 – “Up Close and Personal” by the South Carolina Philharmonic at the Koger Center for the Arts. In this amazing concert you’ll fine numerous screens projected from “up close and personal” cameras of these amazing performers! For more information call (803) 777-7500 or visit http://www.kogercenterforthearts.com/event.php?id=254. February 4 – 5 – Repticon at the Jamil Shrine Temple. Back again for the herpetologists out there to find that special reptile or amphibian for your collection . . . of for your inquisitive child. For more information visit http://repticon.com/south-carolina/columbia/. February 6 – 27 – Black Stories at the Nickelodeon Theater. This series will be free to all who attend in order to bring our together to learn about key chapters in history, honor Black leaders, reflect on current challenges that face all of us, and discover those who inspire us. For more information call (803) 254-8234 or visit http://nickelodeon.org/series/black-stories/. February 7 – “Tabitha Epperson: Home” at the Harbison Theatre. Hear what this Hurricane Katrina survivor has to say about the definition of “home”, what is permanent, what is not, and can it be washed away. For more information call (803) 407-5011 or visit http://www.harbisontheatre.org/tickets-productions/tabitha-epperson-home. February 8 – “Rams” at the Nickelodeon Theater. Two brothers from a remote area of Iceland haven’t spoken in 40 years, but come together to save their sheep! For more information call (803) 254-8234 or visit http://nickelodeon.org/films/rams/. February 10 – “Some Kind of Hate: A Night of Supernatural Happenings” at the Nickelodeon Theater. A bullied teenager sent to a reform school who accidentally summons the spirit of a girl who was also bullied and takes revenge on his tormenters. For more information call (803) 254-8234 or visit http://nickelodeon.org/films/some-kind-of-hate/. February 10 – 11 – Monster Jam at the Colonial Life Arena. You’ll see amazing trucks and their drivers, such as the Carolina Crusher, the War Wizard, the Stinger, the Fullboar, and the Master of Disaster in this fun and crazy event! For more information call (803) 576-9200 or visit https://www.coloniallifearena.com/monster-jam.php?eventid=99&showtimeid=149. February 10 – 19 – “SOME GIRL(S)” at Workshop Theater. Often when a young man is engaged and about to get married . . . he gets nervous . . . and starts calling old girlfriends in search of the perfect girl . . . that he has already broken up with! For more information call (803) 799-4876 or visit http://www.workshoptheatre.com/shows.html#season. February 11 – Smoke and Beer Festival at City Roots. You’ll find tastings from eight different local restaurants, as well as craft beer from South Carolina and Georgia all while enjoying live entertainment by Ashes of Old Ways and Tom Hall and the Plow Boys. For more information call (803) 254-2302 or visit http://www.cityroots.org/events-calendar/2017/2/11/smoke-and-beer-festival. February 11 – Palladium Society Annual Chili Cook-off at the Music Farm. Here is your chance for all you can eat great chili and all you can drink cold beer and wine while enjoy live entertainment! For more information call (803) 252-7742 ext. 15 or visit http://www.historiccolumbia.org/chili. February 11 – Family Fun in the Garden: Fairy and Gnome Tea Party at the Riverbanks Zoo and Botanical Gardens. Kids ages 3 to 10 will enjoy a tea party in the woods, with crafts, games, and a story! For more information call (803) 779-8717 or visit http://www.riverbanks.org/education/family-programs.shtml. February 11 – Guitar Gala at Michael’s Café and Catering. Enjoy an elegant evening of dining while being serenaded by some of the best classical, jazz, and Latin American guitarists in the State, in addition to the chance to bid on silent auction items. For more information call (803) 726-2233 or visit http://www.brownpapertickets.com/event/2712424. February 11 – Valentine’s Cinema: “An Affair to Remember” at the Harbison Theatre in Irmo. Start your evening with a dessert and champagne reception in the lobby and then sit down with your loved one to enjoy Cary Grant and Deborah Kerr in this classic film. For more information call (803) 407-5011 or visit http://www.harbisontheatre.org/tickets-productions/valentines-cinema-affair-remember. February 11 – “Lil Uzi Vert” at the Township Auditorium. This upcoming hip artist will take you on a futuristic rap journey! For more information call (803) 576-2350 or visit http://www.thetownship.org/events/. February 12 – “Katt Williams” at the Colonial Life Arena. Back with more rap to fill your evening! For more information call (803) 576-9200 or visit https://www.coloniallifearena.com/katt-williams.php?eventid=103&showtimeid=155. September 14 – “Shakespeare in Love” at the Nickelodeon Theater. When a young Shakespeare is out of ideas and out of cash meets his ideal woman, he is inspired to create one of his most famous masterpieces. For more information call (803) 254-8234 or visit http://nickelodeon.org/films/shakespeare-in-love/. February 14 – Songversation Presents Singer/Songwriter “Michael Miller” at the Skyline Room at the Tapps Art Center. He’s an oil painter, composter, folk singer, and recording artist and his eclectic taste in music will provide something for everyone who attends! For more information call (803) 988-0013 or visit http://www.tappsartscenter.com/event/songversation-presents-singersongwriter-michael-miller/. February 14 – “If Loving You Is Wrong” at the Columbia Museum of Art. Enjoy an enchanted evening starting with a romantic talk about the “Cut! Costume and the Cinema” exhibit, followed by a catered chicken cordon blue dinner, wine, and chocolate for dessert! For more information call (803) 799-2810 or visit https://www.columbiamuseum.org/happenings/if-loving-you-wrong. 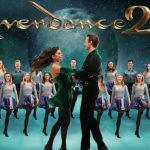 February 14 – 15 – “Riverdance” at the Koger Center for the Arts. Back by popular demand, this tremendous Irish dance group is celebrating their 20th year and will absolute take your breath away! For more information call (803) 777-7500 or visit http://www.kogercenterforthearts.com/event.php?id=368.